Blouse with frills and adjustable cords at the side. 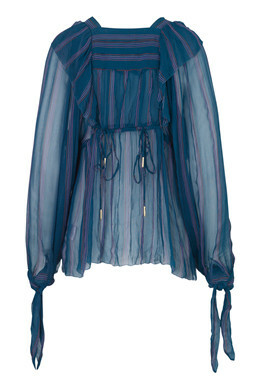 The blouse features short slits at the sleeves, which fasten by tying a bow. 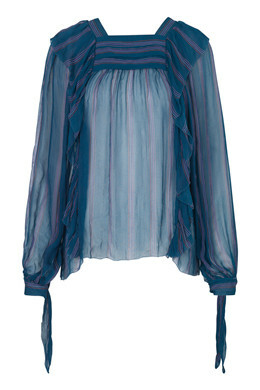 The blouse goes perfectly with a pair of tight trousers that make an effective contrast against the loose top.